There is currently just the 1 ferry route running between Australia and Tasmania operated by 1 ferry company – Spirit Of Tasmania. The Melbourne to Devonport (Tasmania) ferry crossing operates weekly with a scheduled sailing duration from about 10 hours 30 minutes. Whilst we’ve taken great care to ensure the information on this page is correct, as the frequency and duration of crossings on all routes can vary from time to time we’d advise that you get a live quote for current availability on this Australia Tasmania crossing between Melbourne and Devonport (Tasmania). 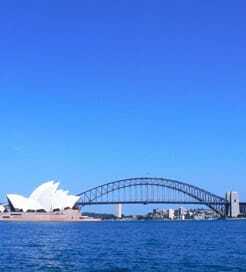 Australia is the 6th largest country in the world, situated between the Pacific and the Indian Ocean. Surrounding the 35,000 km mainland coast are numerous islands including the enormous Tasmania to the south and the world-renowned, beautiful Whitsundays to the northeast. With nearly all the major settlements situated along the coast, you can find beachfront hangouts, superb seafood and trendy art scenes in all the big cities. That’s not all, though, as the vast outback awaits those looking for peace and quiet away from the bustling tourist hotspots, which is also home to the spectacular Ayers Rock, known by its aboriginal name of ‘Uluru’. As an isolated island country fringed by islands and archipelagos, Australia offers a great number of domestic ferry routes. Depending on where you are along the coast, a short ferry ride is all it takes to reach the Great Barrier Reef, Kangaroo Island, Tasmania and many more wonderful destinations. 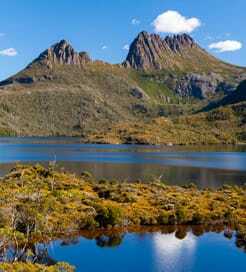 Tasmania or 'Tassie' as it’s known locally is located about two hundred and forty kilometres off the south east coast of mainland Australia and has a population of around half a million. Tasmania is a place of wild and beautiful landscapes, friendly, helpful people with a relaxed island lifestyle, wonderful wine and food and a haunting history evoked by spectacular convict-era ruins. It's also Australia's smallest state and the most geographically diverse with over 40 per cent of Tasmania reserved as national park and world heritage area. So no matter where you go in Tasmania, whether you spend time in one location or drive around the island, we know you'll be delighted by what you'll find and surprised at how much bigger Tasmania really is on the inside. Getting to Tasmania by sea is relatively simple and stress free. Ferries depart from Port Melbourne on mainland Australia and dock at the Esplanade in East Devonport on the north side of Tasmania. The popular crossing operates year round and is run by TT-Line with their Spirit of Tasmania ferries.